How has FC Barcelona fared at Riazor? FC Barcelona could win the 25th La Liga title in Club history this weekend, when they face Deportivo La Coruña at Riazor, a stadium that has been historically difficult to play at for most teams. But while Barça has garnered some very impressive results there in recent seasons, there have also been some less-than-optimal results. 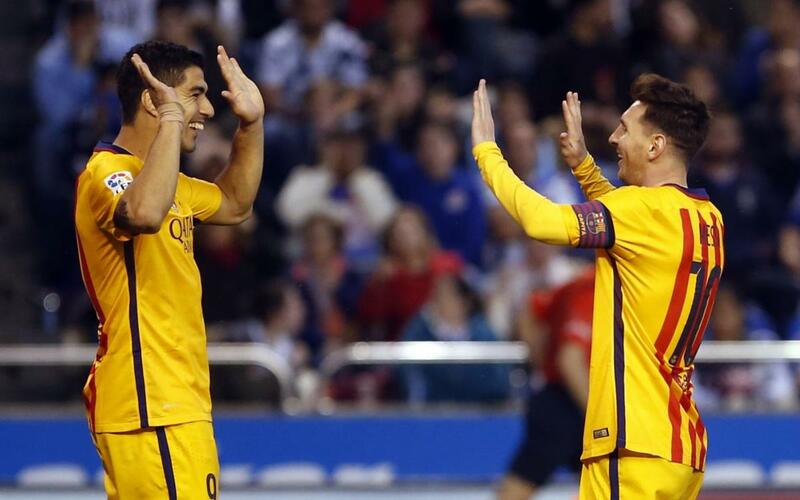 Barça’s all-time record in games played there is 18 wins, 12 draws, and 19 losses. Note: Deportivo were relegated to the Second Division for the 2011/12 and 2013/14 seasons. On Saturday, May 14, 1994, Barça won the league. But while the result that day at Riazor was what handed Barça the title, it didn’t come with Barça on the field there. It was the final week of the season, and Depor came into the game in first place, one point ahead of Barça, with Valencia visiting Riazor that day. At the same time, Barça was hosting Sevilla at Camp Nou and won, 5-2. Back in Riazor, with the game mired in a scoreless deadlock in the final minute of the game, a Depor penalty kick — that would have clinched the title — was saved by the Valencia goalkeeper. The game ended in a draw, with Depor’s lone point not enough to keep Barça from moving ahead in the standings to win the title.